Mules N' Honey: Life is Still Going On and On...and On. And, "Trailer Life" is Almost Ready! Life is Still Going On and On...and On. And, "Trailer Life" is Almost Ready! Life is still going on. Right now, I am updating my long forgotten blog instead of finishing the last brief I need to write and starting my midterm on Trust law. I will consider this warming up my fingers. 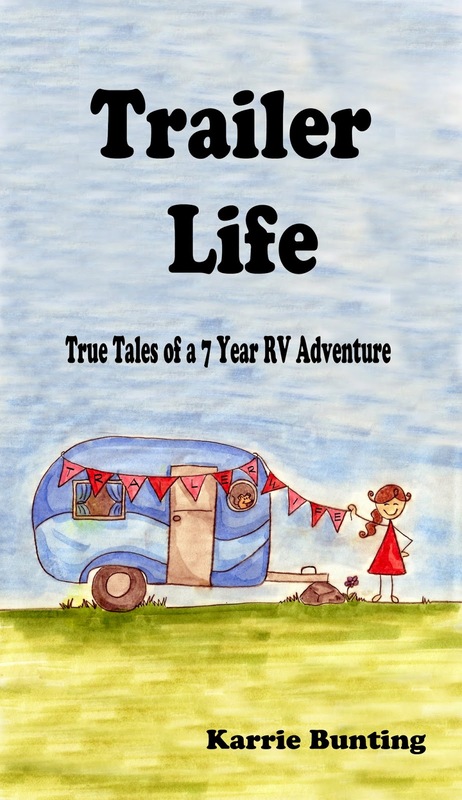 My "Trailer Life" book is ready. Like, if you were so inclined, you could buy it in various eBook formats and even a hard copy. But I haven't announced that yet officially, because as part of my meager marketing plan, I am going to do a giveaway on Facebook and Goodreads. I'm going to rally my troops and tell all my friends and family...and then I am finished! It will do what it does, and I truly must focus on the fact that I am supposed to be graduating law school in two months, taking the Bar in five, and then opening up my law practice. Seriously, so much to do. No wonder I am doing something silly like publishing a book: Hello to my new procratinating technique called WORK AVOIDANCE. Honestly, publishing this book is torturous and I am not sure why I am doing it, except that maybe I will make enough money to pay for my bar prep course? That would be a total slam dunk success in my book! Seriously. That would be so amazing and since writers make slightly less than those who craft on etsy...let's just say it would be a miracle. (I will be making between $2-3 a book, in case you were wondering. I hate how vague people can be about money sometimes, like it is so taboo to discuss it.) As you may notice, I have severe writer's agony. I know half the stuff I write on my blog is random, and I am not so confident to think for a second what I say through the words that come from my fingertips is useful. My book though? I hope that it is funny. I hope that it is funny and helps the reader to think, "I can do this." For whatever "this" is. Or at least, "I am so glad that didn't happen to me!" I hope that all in all, it is uplifting. And funny. Because I laugh all the time and the crazy stuff that happens to me. Here is the cover of the book, drawn by friend AMY from elementary school. Because my drawing skills are truly, truly non-existent, no matter how hard I try. I can doodle some flowers and monsters...maybe the occasional symmetrical heart shape, but definitely NOT what I picture in my head. Well, I am off to go finish that brief and start that midterm. I may even (*gasp*) go for a walk/run today. I bought new running shoes and have been sick for like two weeks with cold and asthma stuff, and then it has been so cold! But today is looking awesome, and since I am solar powered, it will be my day!